"Nearly every failed retaining wall I’ve ever inspected failed due to an improper drainage system or a complete lack of one." Kenneth G. Fraine, M.S. Civil Engineering. 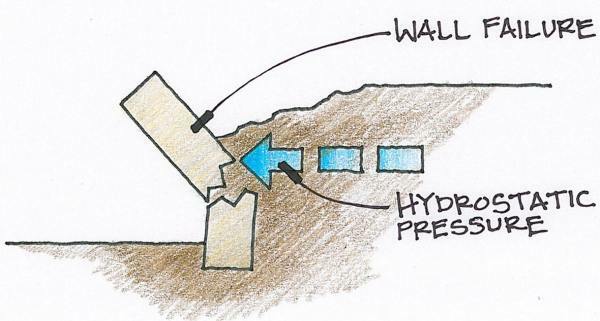 In fact, water — not dirt — is what cracks and pushes over retaining walls. You can pile dirt behind a wall, and nothing will happen unless it gets wet because dirt rarely moves on its own. Houses built on steep slopes are in no danger when the dirt above them is relatively dry. But you've probably seen video of what can happen after prolonged rains: Mudslides cave in houses and wash cars down sloping streets. Wet dirt can have the power of an avalanche. 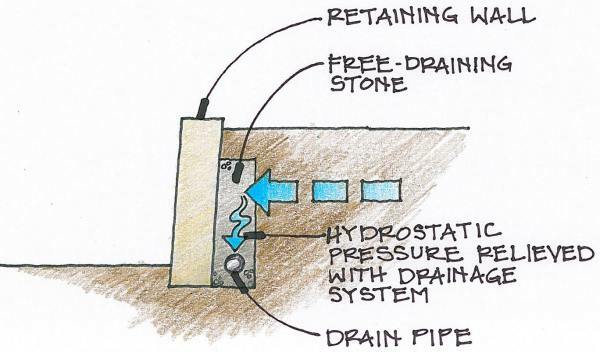 What you need to account for in a retaining wall is hydrostatic pressure — the force of water on and mainly in the ground that always runs downhill. 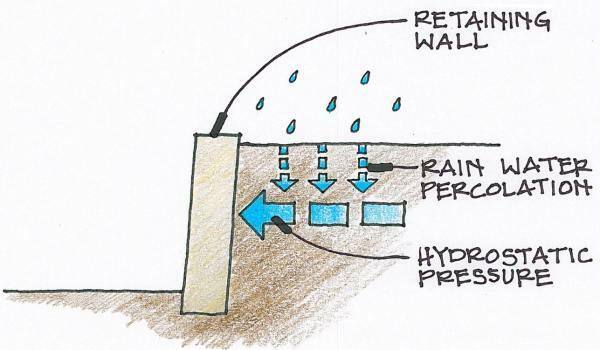 When a retaining wall is in the way, water pushes against it, and the wetter the dirt becomes the more it pushes. Gabion retaining walls are porous and this prevents build up of hydrostatic pressure. 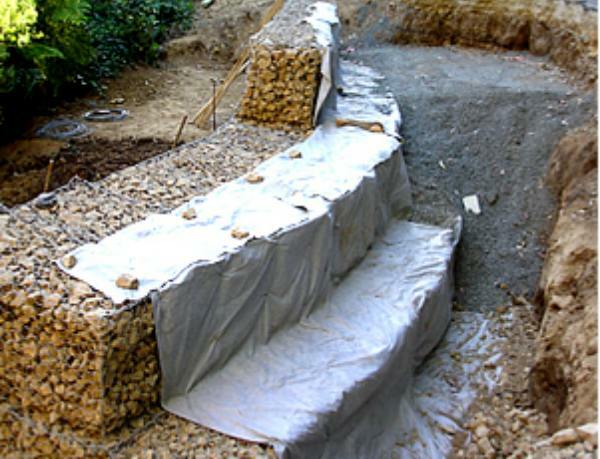 Geotech filter fabrics are used to prevent silt and clay form clogging up the retaining wall’s drainage system. For small domestic retaining walls, weed mat can be used instead of the geotech filter fabric.